No matter how hard I try, I can only do so many pages at a time before my attention starts to drift away. I did manage to get through a good amount of notes and reading today. QOS buried me on my lab attempt and I really need to make sure that doesn’t happen again. Between QOS and Security I should have enough to keep me busy this week. I was going to start again with switching and move from there, but I don’t feel like I need to start over from the beginning. Everything is still very fresh in my head, and going through my notes and labs on the core topics will give me a better idea on what I need to go over on those topics. I knew if if my brain thought I was starting again from scratch there would be no way I could keep it under my total control 😉 Hopefully this week I can lab both of these up with INE’s workbook I and move ahead. Now I have to decide what date I would like to make another attempt at the lab. I won’t pay and schedule this time unless I feel really good about it. Labs dates seem to be fairly open right now. You could pick one up for February 2nd if you wanted to tonight. The biggest obstacle will be my wife’s due date of July 14th. The worse part is the mobile lab will be in Toronto Canada July 16th. Toronto is a whole hour and a half drive from my house. I just can’t risk my wife deciding to go into lab during that week… With RTP closed until July if I want to attempt the lab sooner I will have to fly out to San Jose CA. I will have to see where I am after I attend INE’s 6 day bootcamp. Good news for current End to End customers or those that just have the COD series! INE is thrilled to announce the arrival of a new Advanced Technologies Class on Demand series! 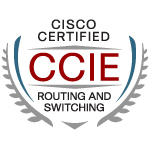 For years, this product has served as the (Tier 1) foundation for INE students’ journeys to CCIE certification. With some new instructors, and a stricter adherence to Version 4 exam topics, here are the upcoming modules you can expect through February, 2010. I just wanted to post this link for anyone looking to donate and help out the people of Haiti deal with this disaster. The page has links to many different relief organizations you can donate to. I think that quote pretty much sums everything up to this point. It is definitely time to move forward once again. I have been idle for far too long. I haven’t really done much since failing my first attempt this past October. I had some decisions to make as to what to do for equipment and material. In that end I am moving forward with my Narbik workbooks, and my INE end to end program. The biggest factor in all of this is equipment. I have Dynamips running on my Mac Mini bridged out to real 3560’s for Narbik’s and a full blown rack for my INE material. The INE rack was easy to update since I already had a 1841 router in the rack. Just used two more 1841 spares to update the rack. Budgets are tight right now, I have to make the most use of what I have available already. To make use of any other vendor material would of added another cost to everything. Also, I worked it out to receive a bootcamp in exchange for the INE banner that I have on the site. So I will be attending one of their camps in the next few months to really get moving. That in itself does not limit or influence blog posts or experiences with any material used by INE, or anyone else.